An already lovely dinner rolls, except made even better with garlic!! Sieve flours, add sugar, salt, garlic powder and yeast a and mix. Place shape rolls in a greased tray and allow to rise for 30 minutes. Egg wash with beaten egg and sprinkle sesame seeds on. Bake in a thermofan oven for 15 minutes OR in a convection oven for 20 mins or more until golden brown. Yum! 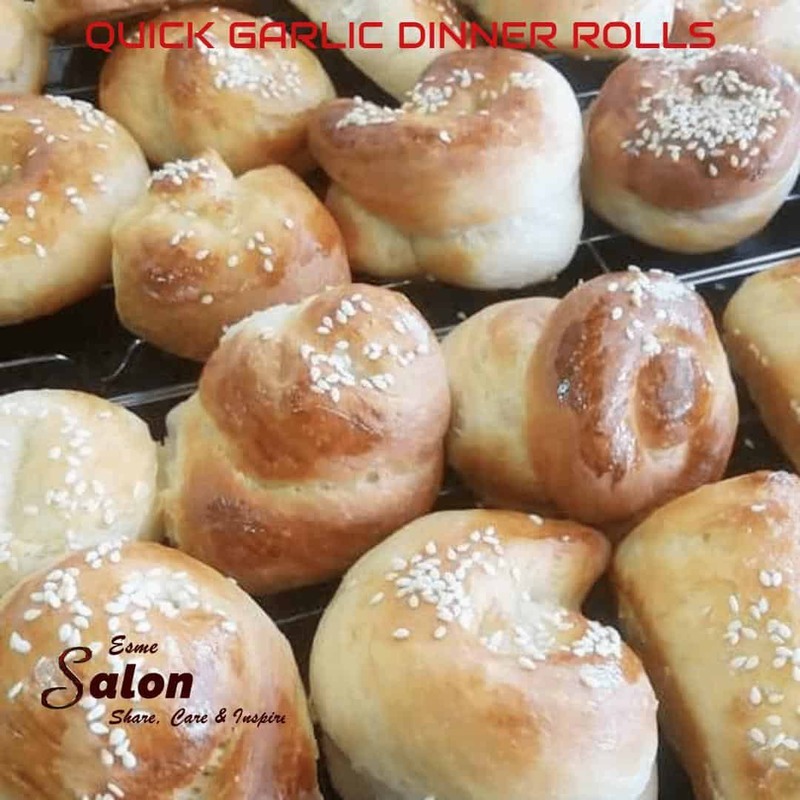 Love homemade dinner rolls (especially those with garlic!). Thanks for visiting Kelsey – what can go wrong when you have garlic in any meal?? ?